Intro: Hello and Merry Christmas! WingsGames bring you a festive Roller Coaster for the holidays. Use with Google Cardboard or any suitable VR headset. 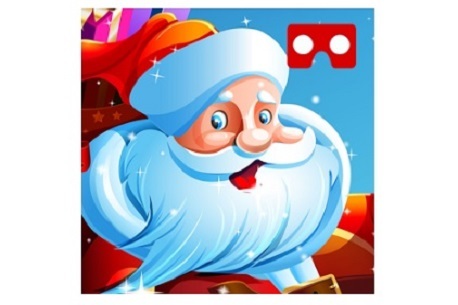 Verdict: VR Santa is a short, festive experience that sees you playing the role of Santa. All you have to do is look at the houses to throw a present at them. There is no target, no high scores, just some jolly good fun in a pretty great looking winter village at Christmas time. Filled with just about everything festive this is an app best played by the little ones, but I have to say, even as a childish adult it made me smile once or twice (the first time around anyway). Its free on Android which is great, but only a £1 on iOS, if you are looking for some Christmas fun it’s well worth the asking price.